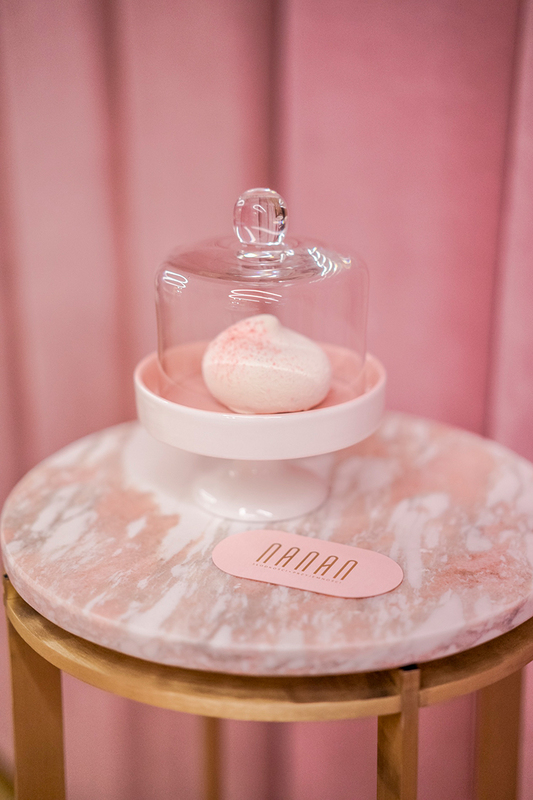 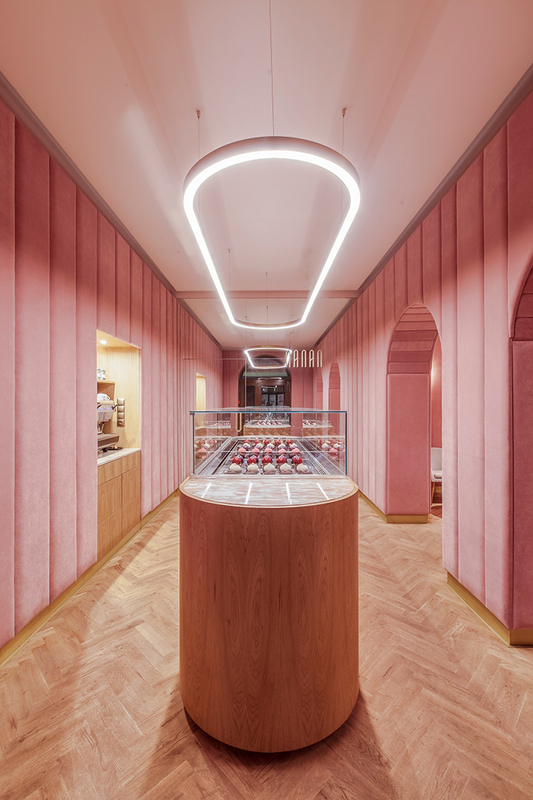 Nanan means sweetmeats in French and sweets play the leading role in the design project of buck.studio for this modern pastry shop in Wroc?aw Poland. 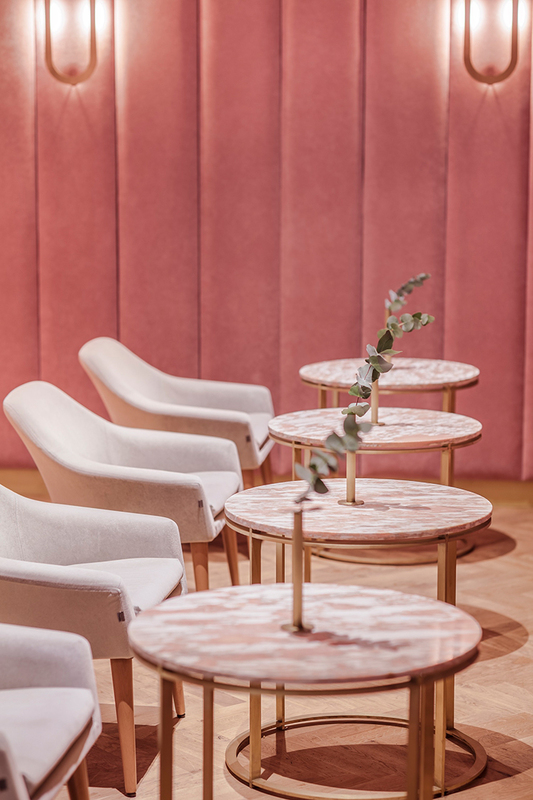 The deliberately minimalist interior provides a subtle setting with finely decorated cakes and éclairs made with meticulous care. 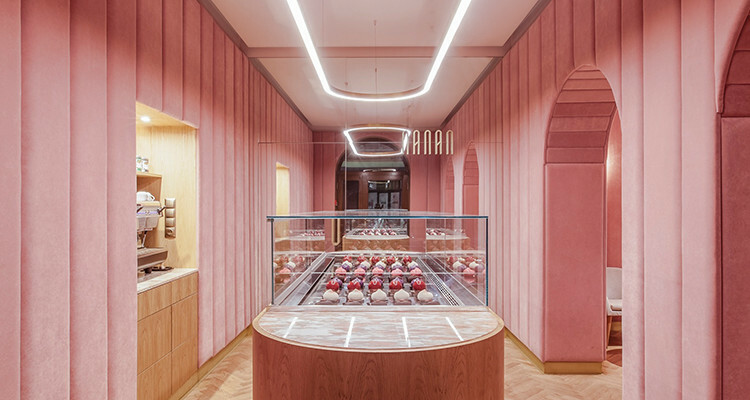 The specialty of this patisserie, the éclair, has inspired the interior design and the visual identity of Nanan. 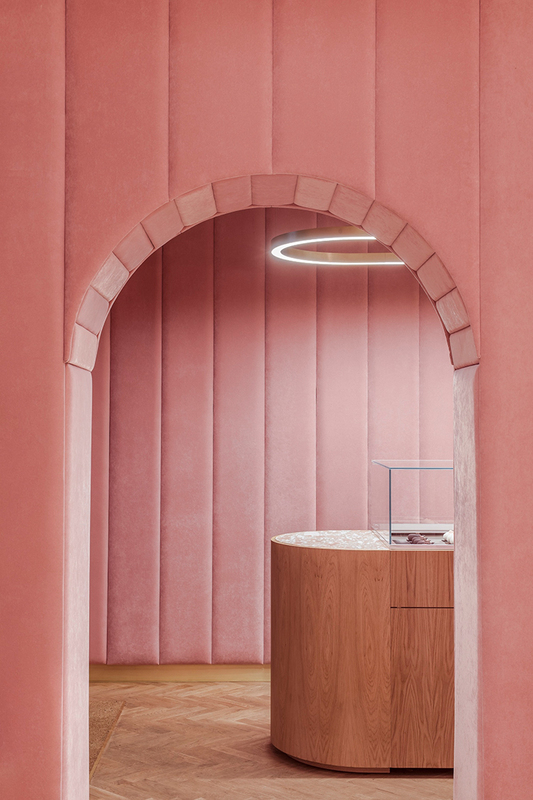 The éclair’s oval silhouette is echoed in the central island counter with a display that operates almost like a glass cabinet in a jeweler’s shop. 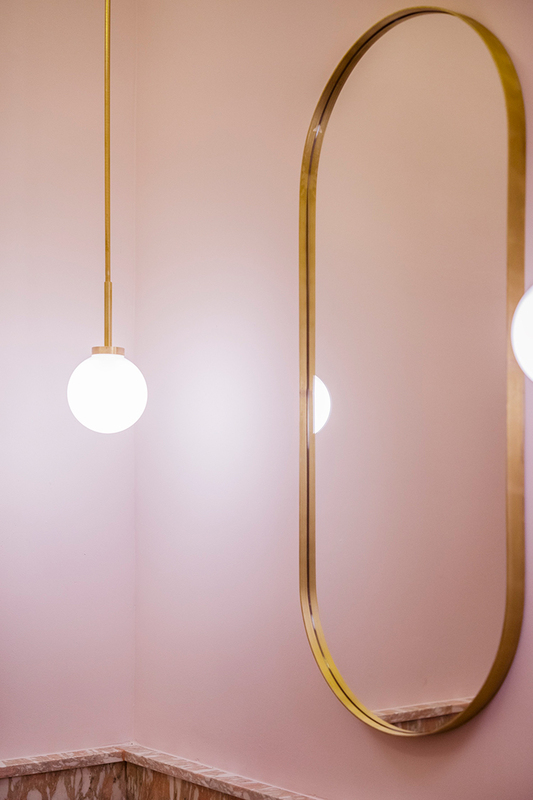 Eclairs have also inspired the bespoke design of lamps and other details of the interior such as door handles, coat hangers, mirrors and veneer perforation. 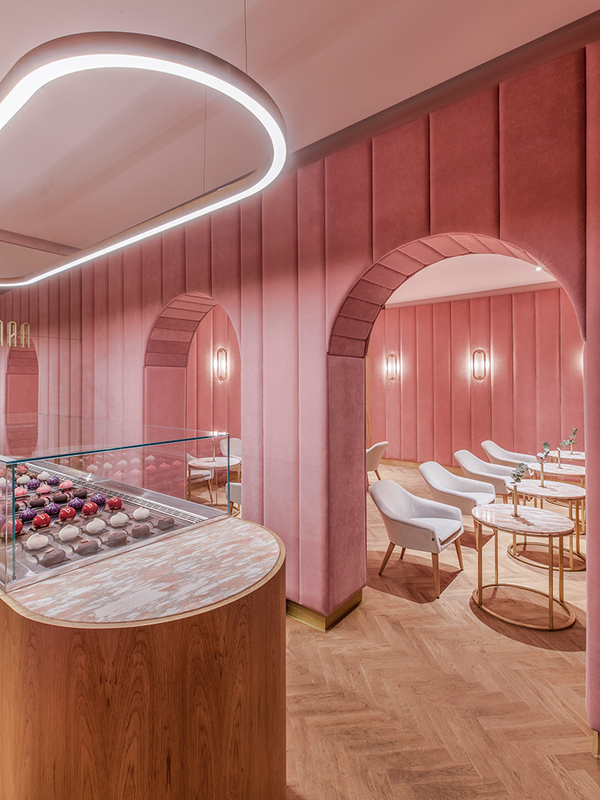 An éclair motif has naturally lent itself to the patisserie’s visual identification. 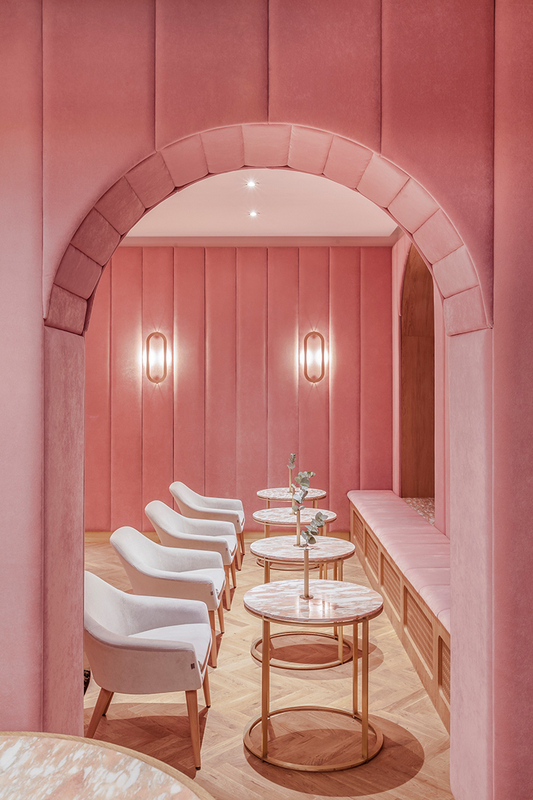 The whole place is given a context of velvet, pink walls with arched doorways making a subtle reference to shape and texture of the classic French confectionery. 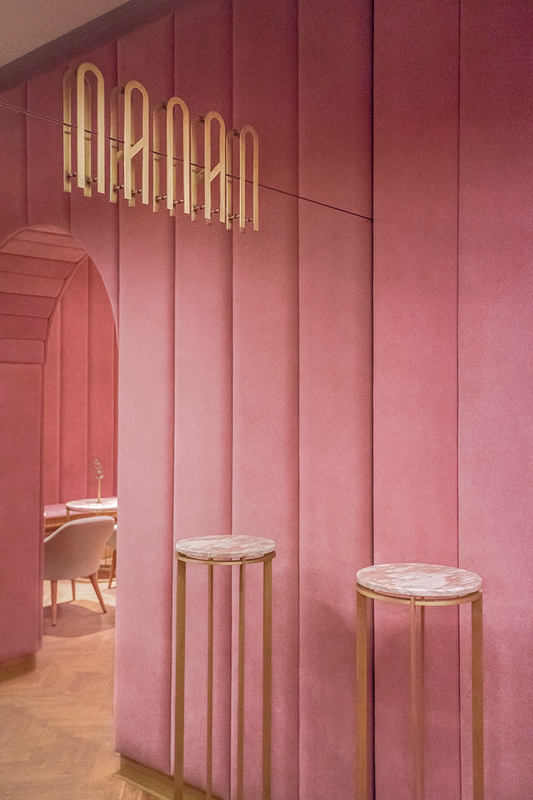 Combined with delicate shining brass details, rosa aurora marble table tops, natural oak veneers and oak parquet floor it builds a rather surreal ambiance of a dream world.